Virginia's new Democratic governor, Ralph Northam, hopes his state's Legislature will reach a compromise on Medicaid expansion as their legislative session wraps up over the next few weeks. 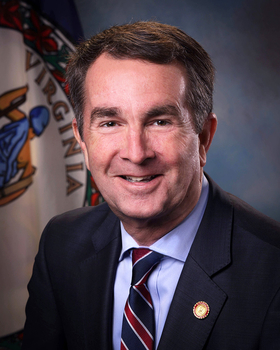 At the annual winter meeting of the National Governors Association over the weekend, Northam told Modern Healthcare he is optimistic the ongoing negotiations may very well result in a compromise even though the state Senate continues to oppose expansion. As the Washington Post reported, state House lawmakers backed Northam's wish to expand Medicaid coverage to an estimated 400,000 low-income Virginians. But the Senate very notably did not, and GOP Senate Majority Leader Thomas Norment Jr. said the state may not be able to rely on the federal government continuing to pay 90% of the tab for expansion, according to the Washington Post. Former Democratic Gov. Terry McAuliffe tried for years to push expansion on a recalcitrant state legislature, but the blue wave that pushed many Republicans out of their legislative seats managed to stem the political winds on the issue, at least in the House. The state's legislature is set to adjourn March 10, although a reconvened session is scheduled for April 18. Also during the National Governors Association's winter meeting, HHS Secretary Alex Azar met one-on-one with governors. While Medicaid waivers were a buzzword, the major healthcare session focused on opioids. Azar announced two upcoming draft guidances from the Food and Drug Administration focused on medication-assisted treatment for opioid addicts. The first aims to streamline approvals of buprenorphine that would be injected monthly. Azar said this injectable form "can be more feasible in rural settings, where the opioid crisis has hit especially hard and yet treatment options can be especially sparse." The second draft guidance would push "more flexible and creative designs" of studies of medication-assisted treatment. "As just one example, the guidance will correct a misconception that patients must achieve total abstinence in order for MAT to be considered effective," Azar told governors.